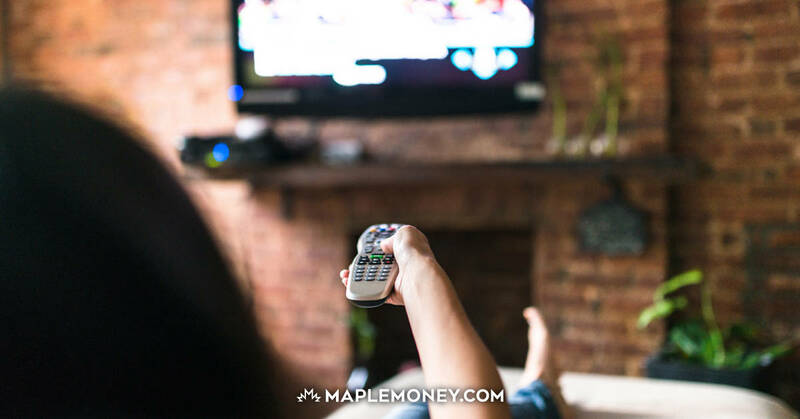 With the majority of households looking for ways to cut their expenses, television might be the first non-essential bill you’ll want to look at. Fortunately there are a few ways to save money on your television bill. Look to bundle with other services. You can most likely get your television, internet and telephone all though one company, which can lead to some big savings. Don’t pay for more channels than you need. While many companies only offer a few tiers of channel options, others allow an a la carte option. If you look at which shows you actually want to watch, you might find than you only need about 10 channels. Don’t order Pay Per View sports. The price of one UFC or WWE event could double your monthly cable bill. You could buy a ticket to a game for the monthly cost of NHL Centre Ice or NFL Sunday Ticket. The same goes for PPV movies, you might be better off using a by-mail service like Zip.ca. Or even better yet, many libraries now offer DVDs, though they may not have the greatest selection. Save money on your set top box. With either cable or satellite, you may need a box to view HDTV and some now have built in PVRs (Personal Video Recorders). You can save money by buying these on sale at some of the big box stores. The cable or satellite company may also have previously used boxes that you can get for cheap. Using a PVR can save you the cost of a time-shifting package. Time-shifting is simply offering you the ability to watch major stations from other time zones. This gives you more flexibility on when you watch your favourite shows. However, if you can record all your shows with a PVR function, you will have even greater flexibility and it may save you some money by avoiding essentially duplicate channels. It can be worth your while to call your television service provider and negotiate a deal. If you’re considering leaving for another company, having a talk with the retention department to see what they can offer you might change your mind. Similarly, if you notice that your television provider is offering a special promotion to new subscribers, give them a call and see if you can get the same deal as a loyal customer. While more common in the US, look into using an HDTV antenna to pull in free television over the air. There is not much available to most of Canada, but CBC, CTV and Global may be broadcasting in your area. These channels alone may have most of the shows you want to see, and it’s free and legal. Another form of free, legal television is watching online. Many of the broadcast stations show episodes on their websites. There are also sites like Hulu.com, but it is currently blocked in Canada while they are working to secure international broadcasting rights. I’ve written about using Play On to stream TV through your Xbox 360 or PS3. I’m not sure if that would work in Canada, though.. if they block Hulu? Any one have information on that? Some of the content would get through, but not from Hulu. Of course there is a way around that with a US proxy server… but that makes it quite a bit less legal since the broadcast rights don’t extend to Canada. #9, agreed. Just cancel it. you’ll catch a lot of shows on CTV, CBC, Global, and TV Ontario (for Ontario, of course, or whatever locals you’ve got). The HD comes in crystal clear over the antenna; I splurged for an attic antenna, it’s even better. If you have to get rabbit ears, get the kind that plugs into a power outlet. Stuff on other channels, just ignore it for a month or two, it won’t be long before you don’t miss it any more. Like smoking. You’ll also be able to get up a flight of stairs without being short of breath. #10; I’m under the impression that the REAL reason Hulu hasn’t been trying very hard to expand their availability is because their US advertisers only want to pay for the bandwidth of their target market, and Hulu doesn’t have an international marketing model. You missed one option. Free To Air satellite. It’s unencrypted satellite transmissions. Most systems only cost a few hundred and then you can get your TV for free. You’re right, Free To Air satellite can be a great way to pick up some free channels legitimately. I had left it off the list since I didn’t want to cause confusion on legality… FTA boxes are one firmware update away from pirating Bell and DirecTV. How can I but the FTA boxes, or where to buy the from. we tried this for awhile and loved it but it kept getting spiked or knocked out every other day or week, it got to the point it got fustrating., Is their a better setup out their now? I have three small kids and they love cartoons and when the free to air went out we had nothing to watch since at that time we cancelled our contract from starchoice. Now we have bell and we have very little channels half of which is music, french and things we would never watch for $58 dollars a month. How is the free to air system working these days, its been a couple of years since we used our system. Also I like the idea of spliting the bill among a couple of people if you can get more than for receiver’s. any suggestions! If you’re anywhere in southwestern ontario area, then OTA TV is the way to go. This is obviously because of the proximity of the US border. After installing my OTA setup, I get 60 channels (including subchannels) pretty much always, with more when atmospheric conditions are favourable. I have a more powerful setup but somewhere like Windsor, you can get 20 or 30 channels without even trying. I live in Windsor and have been depending on what I can get OTA. Your powerful set up must make a big difference. I get 14 channels when they’re all coming through. I am constantly needing to adjust my antenna (rabbit years but bought separately and considered to be good) and am considering an alternative method because I am tired of missing key parts of any given program. I don’t need a lot of channels just clear channels. The problem I have is deciding which method is worth the cost and does not involve attics or climbing on the roof. Cable companies are obliged, by law, to provide basic service. They aren’t obliged to advertize it, but they are obliged to tell you if you ask. If you don’t need any frills, it’s a really good way to save. After losing my job Dec 6/13 and looking @ the increases from my provider Bell TV, I put up a good quality antenna and after some gnashing of teeth, a rotor on it. I live in Cambridge, Ontario and learned we are in the “lake Ontario bowl”. So once we got up & running, I get great HD & Surround from the 8 channels from the CN Tower, Kitchener CTV,CHCH, PBS-WNED from buffalo, 2 Christian/religious channels, a CTV2 channel from London, TVO & global both local as well as CN Tower feeds. another is CW23 – it is channel 4 in buffalo’s 2nd feed- we do not receive the standard 4 buffalo stations unless the sky is way clear all the way. However I am a football junkie so if anyone can tell me what providers DO supply a la carte sports channels please advise.